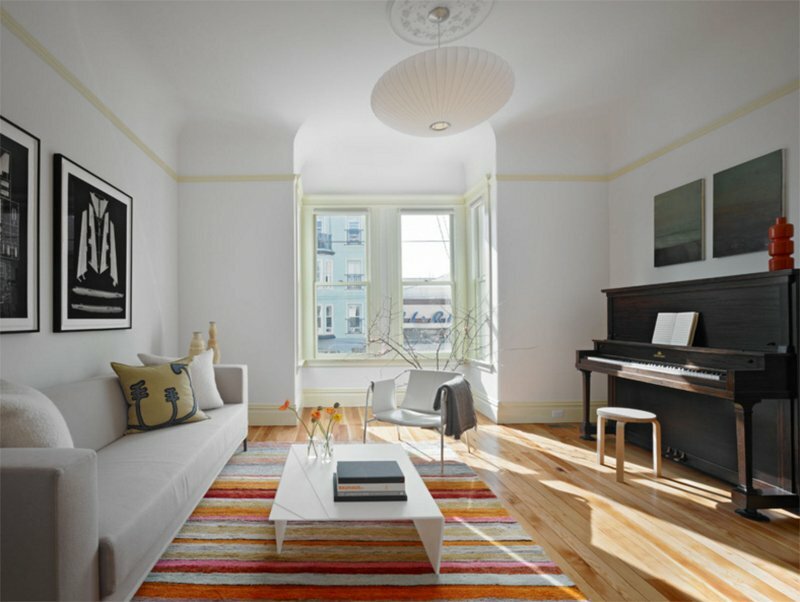 Want to apply the principles of Feng Shui in your living room? Here are some ideas for you. Feng Shui is a practice to make the environment align with the owners of the home and to let the dweller’s energy harmonize with the energy of the home. This kind of practice can be applied by carefully considering what you bring inside the house, how you arrange everything in the space, and how the areas are maintained. According to Feng Shui, everything has energy including inanimate objects and following its principles will guide that energy and will let it flow freely through the home. There are many different principles that one needs to follow in order to achieve Feng Shui in the house which is said to bring luck, love and wealth to the homeowners. In the living room, there are certain principles to follow. The sofa needs to be on the wall with a clear view of the entry. Floating sofas need to have a table at the back to make it feel secure. The arrangement should be conducive to conversation and has enough space to walk around. It is advised to use circular coffee table to let the energy go around the house. You can also use different shapes together as well as colors and materials that will reflect the elements of Fire, Earth, Metal, Water, and Wood. A mirror can also be added on the fireplace to balance fire and water. 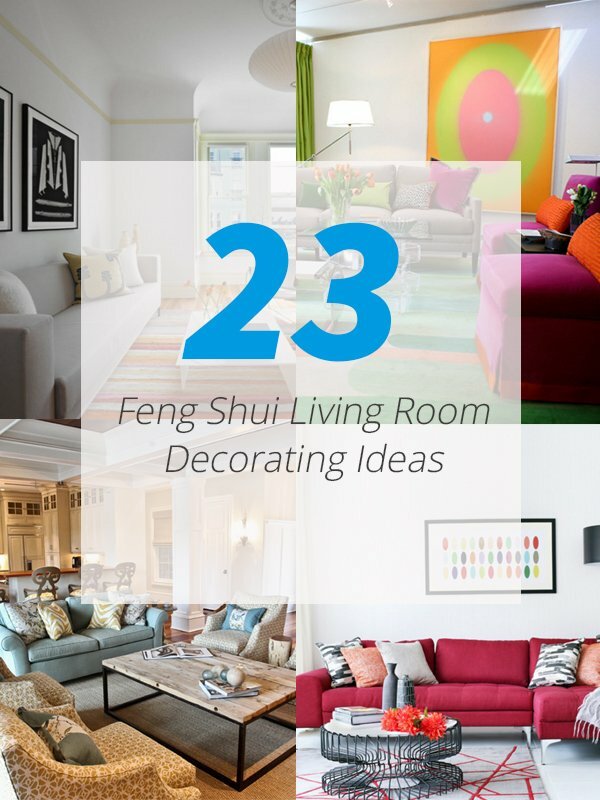 Here are some Feng Shui living room decorating ideas for you. 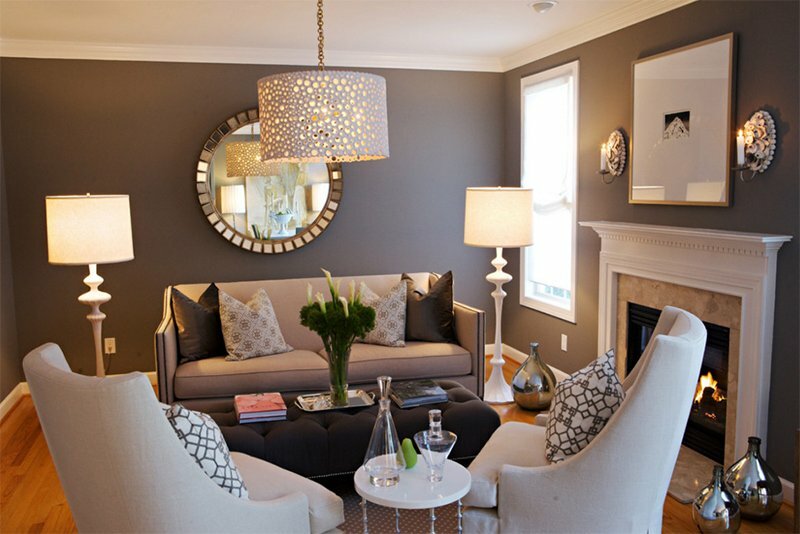 This lovely living area has some Feng Shui elements in it like the fortune mirror. It isn’t just something that would bring luck to the home but it is also an added decor too. For a Feng Shui decorated living area, it is important to have the different elements of Fire, Earth, Metal, Water, and Wood. In this living room, you can see that there is fire from the fireplace, earth from the plants, metal from the lamps, wood from the furniture and water from the black colors. It is important to also use different colors that reflect the elements as well as to have an arrangement that allows the family to converse and spend time together. Of course, it has to be bright and airy! 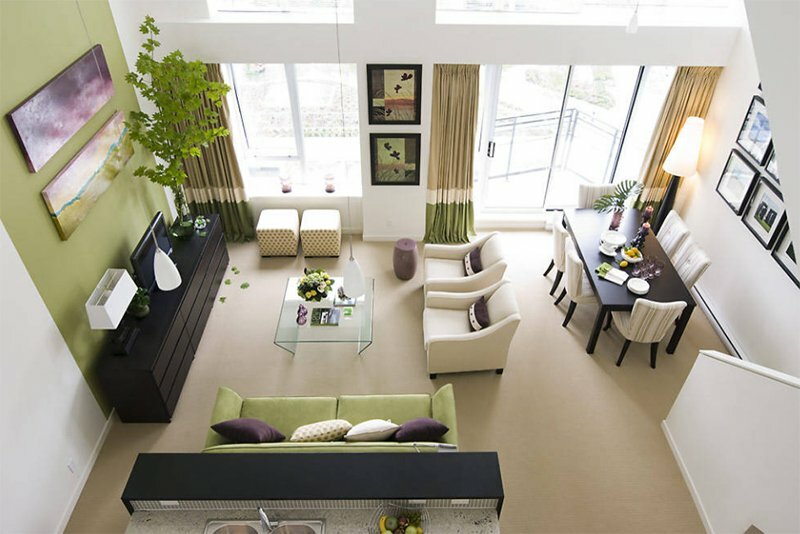 Feng Shui colors are in this living room and you can see that its open plan layout made it appear comfy and spacious. Aside from the different colors and shapes in this living room, it also has a window that allows natural light in it and brings luck. 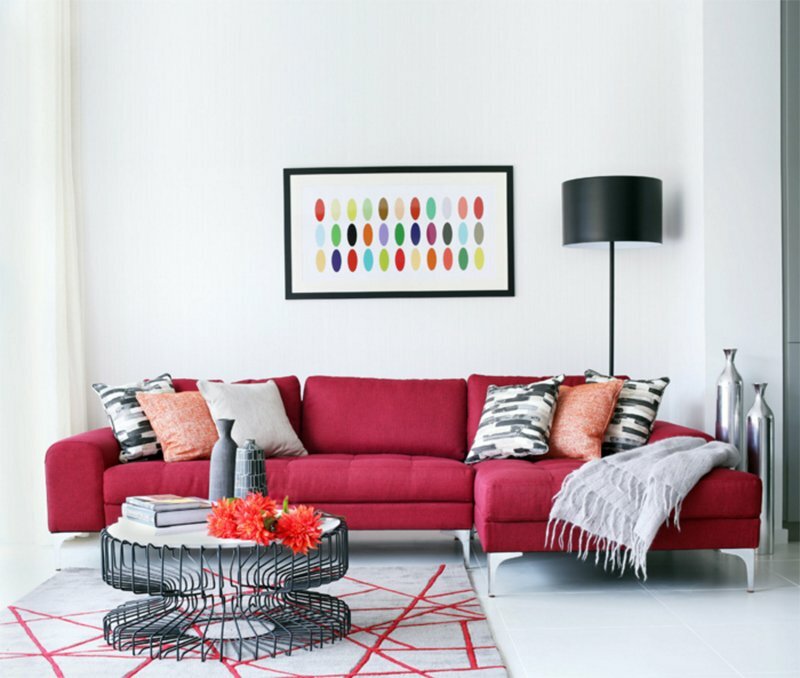 The elements of Feng Shui are seen in this living room that plays with patterns and textures. 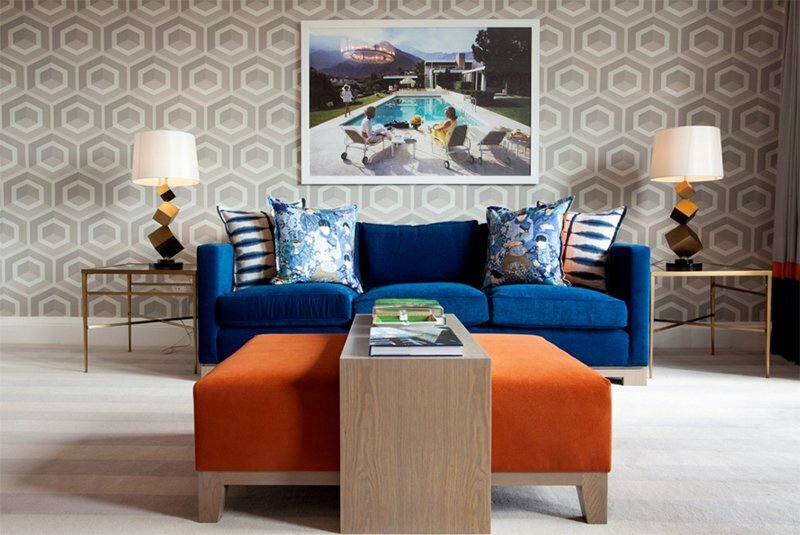 Isn’t this a lovely space which is also a good inspiration for combining patterns together. 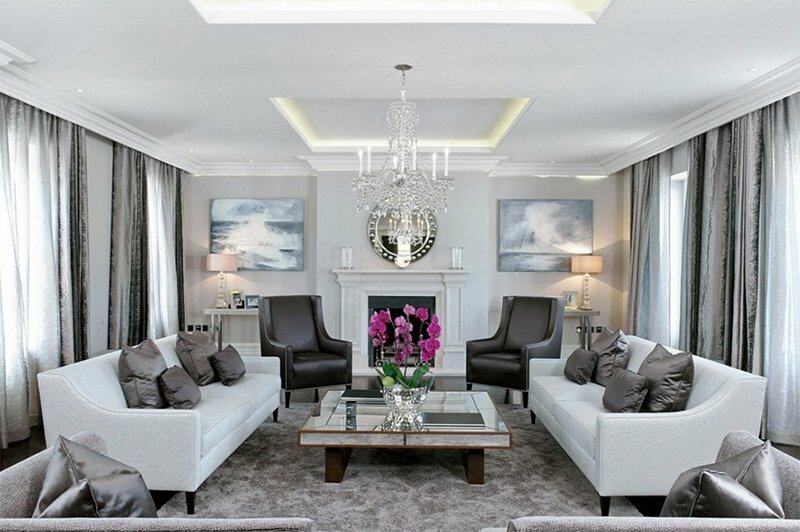 Add a mirror behind the sofa to make you feel protected that is what this living room applied. I also find it nice that they have various elephant displays above the bookshelf. It is a good idea to add a mirror decor on the wall that may balance the space as well as that coffee table that has a mirrored table top. Love those flowers too and the wall decors! Notice that different shapes and forms for the furniture are being used in this living area and it has a large window too to make it bright. A circular coffee table is a good one for Feng Shui since it lets energy move around more easily. And it is nice to use colors that represent the different elements. This living room features coffered ceiling, paneling on all the walls, Oly pendant, bay window, calacatta slab fireplace surround and hearth, built-in book cases, and a two-way fireplace with wall sconces shared between the family and living room. 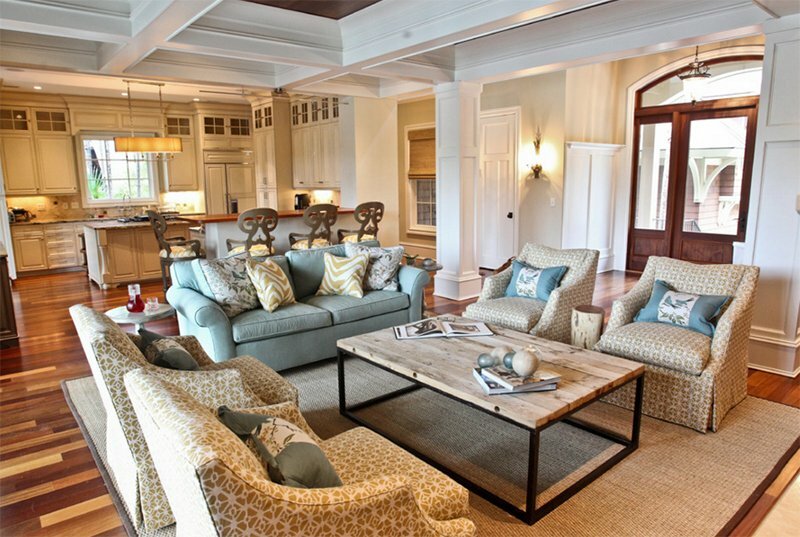 This is a nice living area with a floral area rug. Its arrangement is good for the family’s bonding so they can watch movies together. 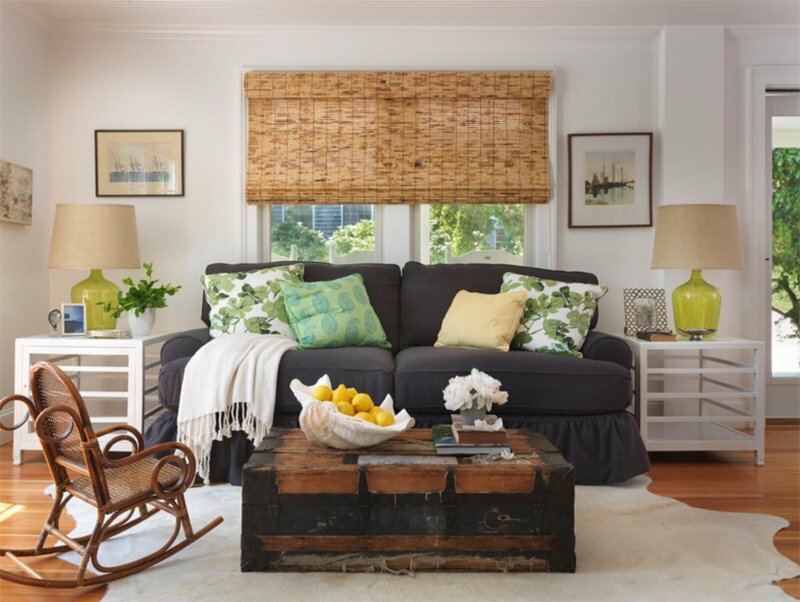 It is also nice to use an ottoman or a bench instead of a coffee table so that it can also be an extra seating when needed. I like the use of different colors here which signifies the elements of Feng Shui. 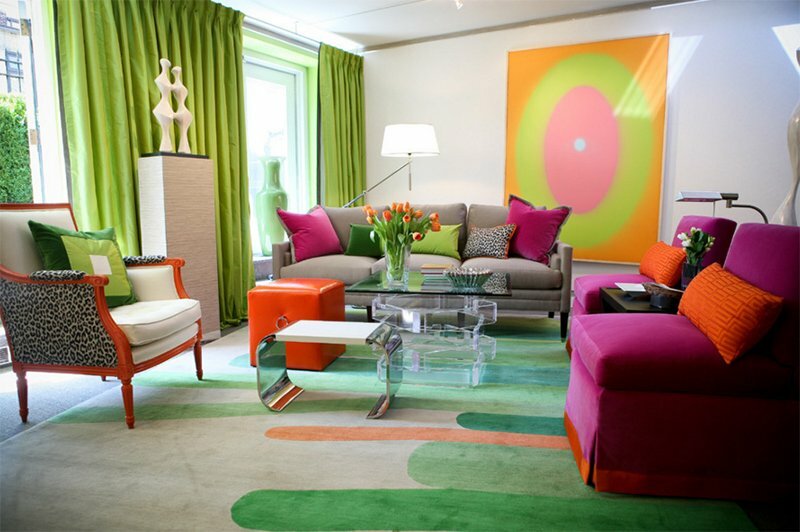 It is advisable to fill a living room with colors and shapes just like this one. Isn’t it nice? It sure is! For windows, you can add drapes so that you can cover the glass if you want privacy and you can just open it if you want to look outside. 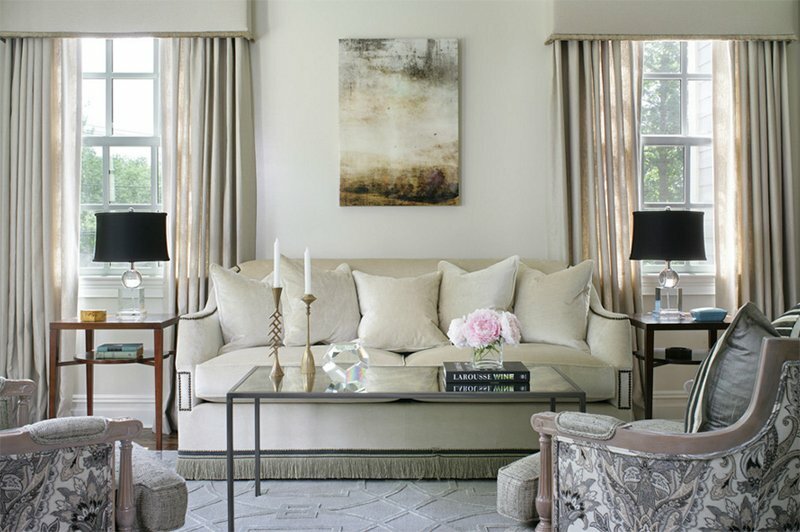 I like the muted tones of this living area as well as its manner of arrangement. That rose centerpiece is so pretty! You can also notice that it has a symmetrical arrangement. Bring colors to a living area using an area rug. It can also be an added texture to the space as well. Putting the sofa near the wall is a Feng Shui thing to make one feel secured. If you look around the space, you will be able to notice the different Feng Shui elements in it from the furniture to the decors. It is also nice that the area is flooded with sunlight. Wooden elements are seen in this area but it is also balanced with some soft features and even metal too. Love the eclectic appeal of this living room! 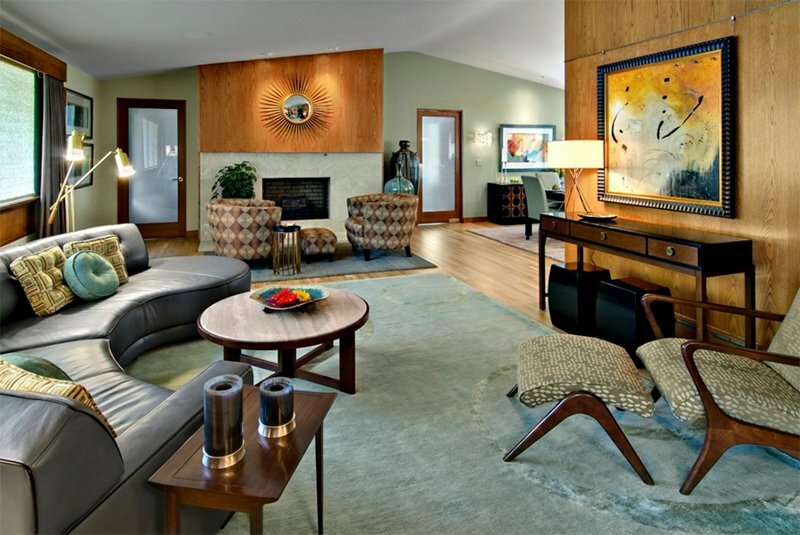 This living area has the combination of new and vintage furniture & accessories. It is infused with color to create a warm feeling for an active family’s new home. The living space opens to a closed porch. It is advised that the sofa should be facing its back from the door. Facing it is okay so that one can see what is going on outside. I already mentioned that it is advisable to add an ottoman in the living room instead of a coffee table. It does look lovely in the area, right? Also, it is good to put lights on corners so that everything is bright and illuminated. A balanced design of a living area wherein you can see the five elements from its colors, patterns and materials. 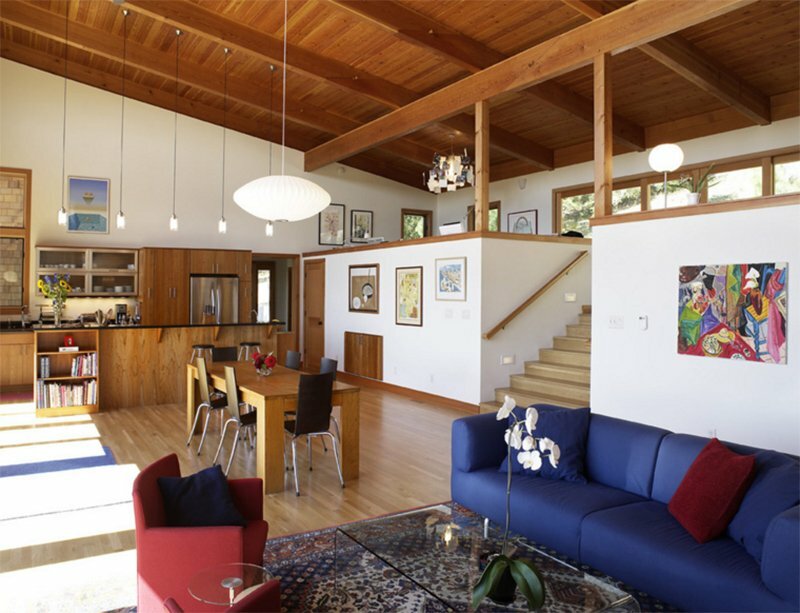 Yes, you can go modern even if you are following Feng Shui! And yes, you can also have a traditional style as well. 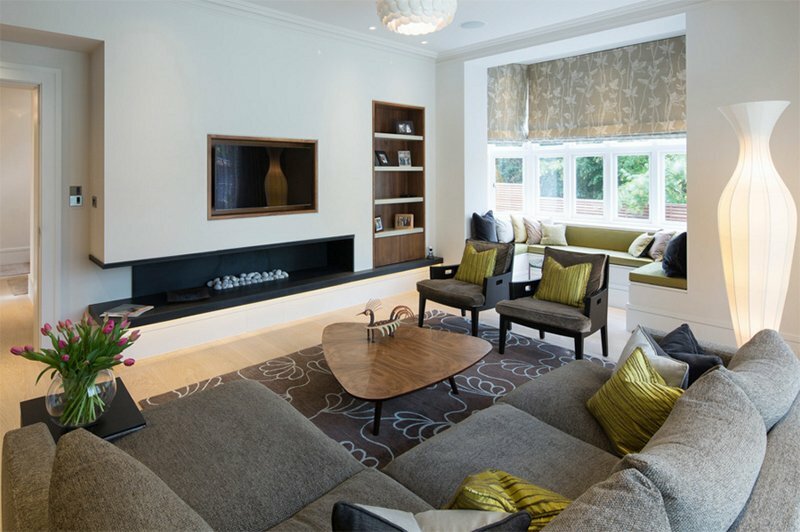 This living room is intended for conversation and you can see that in this layout. In Feng Shui, you have to put them together objects that have a relationship to each other. 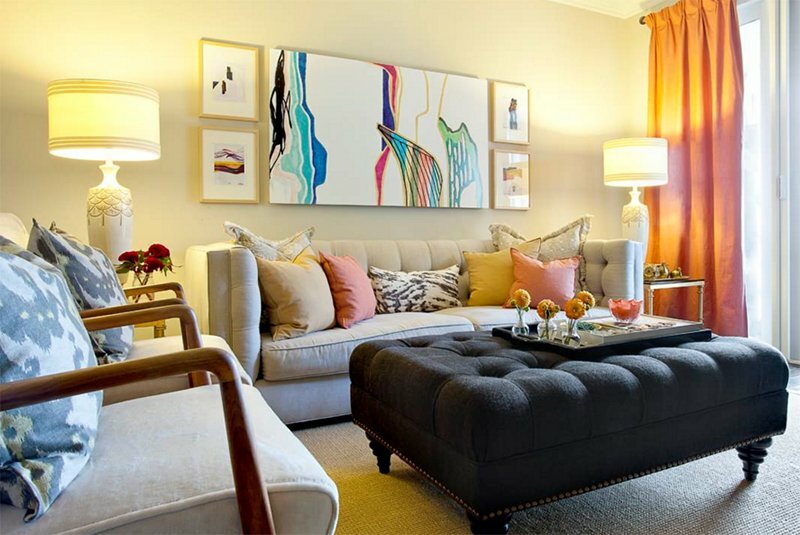 They will surely look great like that other seating area aside from the sectional that is placed against the wall. There are indeed many principles of Feng Shui that some people tend to follow and that includes those who aren’t Chinese. Although the Chinese are the ones who are really into it. 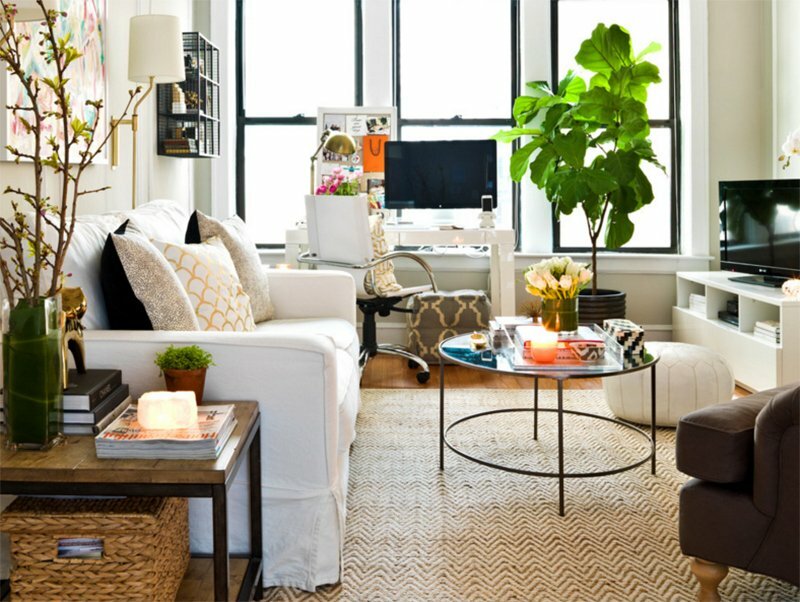 But if you look into it, you can realize that even by following Feng Shui, you can still get the kind of living room you want- whether it is modern, traditional or eclectic and in whatever size or shape. Yes, aside from getting an aesthetically stunning space, you might actually get more luck, wealth, good health and you might even find love (if you don’t have one yet) with the proper arrangement and by following the principles of Feng Shui!